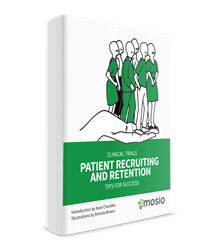 Mosio, an award-winning mobile software company providing solutions in clinical research, health services, and other industries, announces the release of its new “Clinical Trials Patient Recruiting and Retention: Tips for Success” eBook. The company has partnered with top clinical research thought leaders to feature tips, tools, and clinical trial recruitment strategies for maximizing study participation, communication, and retention. 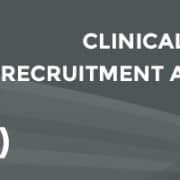 Filled with a variety of patient recruitment and retention strategies from sponsors, CROs, and patient recruitment agencies, the illustrated Clinical trial recruitment eBook aims to generate some creative ideas and build on old ones in an effort to alleviate the challenges in study enrollment and patient engagement. “Clinical Trials Patient Recruiting and Retention: Tips for Success” attracts and engages readers with its clean, easy-to-read design and through illustrations created by Brenda Brown, a well-known illustrator of the best-selling “Worst-Case Scenario” book series. Clinical trial recruitment tips and strategies in the new eBook range from marketing, communication and social media ideas to planning, tools, materials, databases, goal-setting and patient service recommendations. Mosio for Research is dedicated to increasing the success of clinical trials through mobile technology. 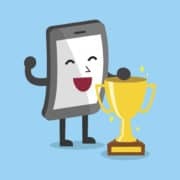 Its mobile software platform offers research sites, sponsors and CROs an efficient, cost-effective way to extend their outreach and stay connected to participants through interactive, two-way text message alerts, reminders, and surveys. 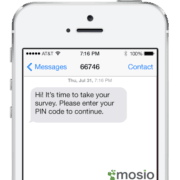 To learn more about Mosio for Research, visit http://www.mosio.com/research or call/text 415-799-4144. Want more exclusive industry insights? Join the Patient Recruitment and Retention (PR+R) LinkedIn Group.